As a former horseback rider and being surrounded at Chatham Hall by horses, I thought it might be fun to sculpt a horse in action. 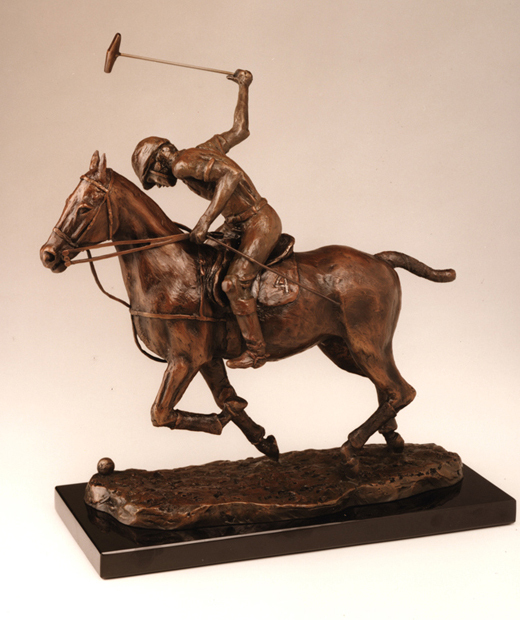 There happened to be a polo player in nearby Lynchburg, Virginia, who gave me trade secrets and important points and issues to watch in sculpting a polo player. The sculpture is about thirteen inches tall, cast in bronze and sells for $7,500.